History and tradition tell us that the Cane Corso has appeared in many tones and colors through the ages. During the recovery of the breed, four basic colors were identified – black, brindle, gray and red – one not to be preferred over the others. The Roman Villa of Casale as Piazza Armerina (3rd-4th Century AD). 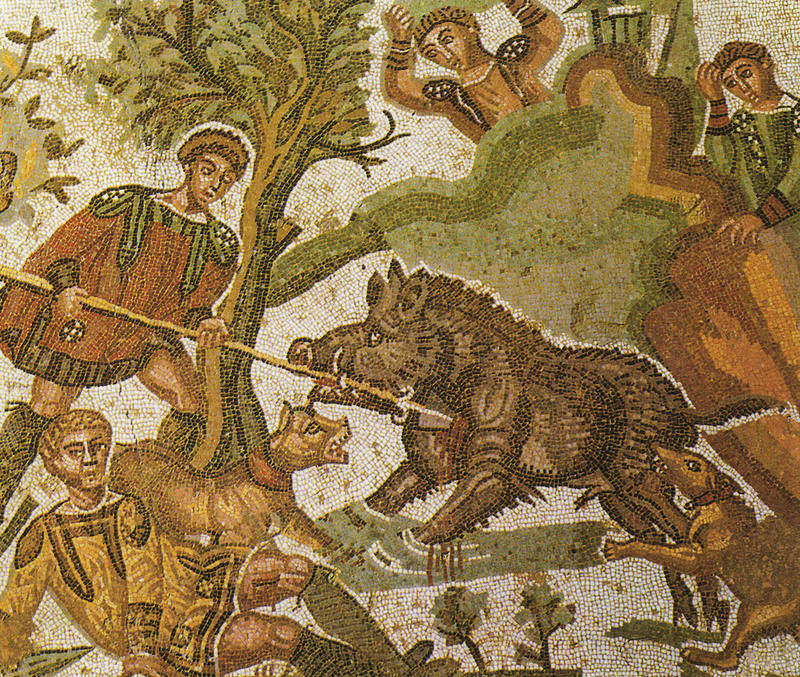 Mosaic depicts a fawn Corso-type dog with the traditional ear crop pouncing on a boar during the hunt. Painting of Fernando I on a wild boar hunt. Depicts a pack of dogs, among them brindle and fawn Corsos. Figurines from the 18th Century that depict Cane Corsos, including Gruppo del Sammartino (fawn), Napoletano (fawn Corso with a black mask) and Cuciniello (formentino Corso with a gray mask). Many superstitions were attributed to coat color and the dog’s particular specialty – so much so that actual “tribes” were created of the same color with the same function. These tribes were a somewhat provincial dialect, directly associated with the region’s socioeconomic activities. In the years prior to the recovery of the Cane Corso, the people of Southern Italy were (and still are) by nature very suspicious of strangers; historically nothing good came of strangers to this region. They guarded their breeding stock jealously (as well as their hunting and training techniques), so essentially they had a philosophy of geographical line-breeding. They never sold or exchanged the pups, choosing instead to keep only the ones that would prove useful; the rest were eliminated. These provincial “dialects” of Corsi were a morpho-functional tool of the various regional trades. Fawn Cane Corso depicted in a 3rd- to 4th-Century mosaic in the Roman Villa of Casale, outside the Italian town of Piazza Armerina. Pig and goat herders preferred the black dog, which was easier to distinguish from the white/pink pig. The same is true of the shepherd, who worked mostly with the white Maremma-Abruzzese sheep dog. Black or brindle dogs were also the color of choice for the old Italian cowboy, who was charged with herds of semi-wild horses. These dogs blended in with the terrain, making it easier to surprise predators or those with ill intent. Corsi that were used for the hunt were generally brindle or fawn with a black mask, colors that camouflaged them with the vegetation of the meridone (southern Italy). These dogs were strong and resolute of character. In some regions they were referred to as “Dogo.” Dr. Flavio Bruno, an essential participant in the breed’s recovery, describes the dogo as “tiger-striped or tawny striped with huge jaws.” One superstition was that a white stripe on the bridge of his nose was prized as an indication of an especially strong hunting instinct. Hunting badger can only be done at night, preferably after 10 p.m. to give the quarry enough time to venture far enough away from his subterranean den. The fawn or wheaten dog was used exclusively for the badger hunt, as in the dark it would be difficult if not impossible to tell a brindle dog from the badger. Perhaps the employment that best showcased the Cane Corso’s vastly diverse talents and utilizations was that of the dog of the masseria, or farm. Here is where he truly shined. All of his abilities came into play in this mini agro-pastoral society where the Cane Corso ruled with an iron grip and steadfast temper. Chained during the day, at night he was freed to roam and protect the structure from predators with both two legs and four. He was indispensable in swine husbandry: As the sow went to thicket with her piglets, he was sent in to incapacitate her with a viselike grip to her ear or snout, thus enabling the farmer to retrieve the piglets; the sow, once released, tamely followed her brood. Once old enough, the Cane Corso was employed in the castration of the bull; once again his grip was utilized to incapacitate the bull so the farmer could perform the castration. Months later this exercise would be repeated when the fattened bull was to be butchered. I believe you have to know where you come from to know where you are going. So now that we know where the Cane Corso comes from, let us turn our attention to the present. From left: Blue brindle (notice eye color has a direct correlation to the brindle on the coat); fawn; formentino (accompanied by an almost clear eye and blue nose); and brindle, or tigrato — again, the eye color matches the brindle. "Color- Acceptable colors are black, lighter and darker shades of gray, lighter and darker shades of fawn, and red. Brindling is allowed on all of these colors. Solid fawn and red, including lighter and darker shades, have a black or gray mask; it does not go beyond the eyes. There may be a white patch on the chest, throat, chin, backs of the pasterns, and on the toes. Disqualification: Any color with marking pattern as seen in blakc and tan breeds." Black, as with the other base colors in this breed, will often present with brindling. Solid black with no white or brindling is considered rare, and prized by the old-timers. White on a black dog (and other colors as well) should be confined to no more than described in the standard. The patch on the chest should be no more than the size of a fist. As far as I am concerned, the less white the better. There should be no white on the muzzle. A black dog should have a dark eye. A rule of thumb in this breed is that the eye should be self coloring; the eye color matches the coat color. Dark coat, dark eye. 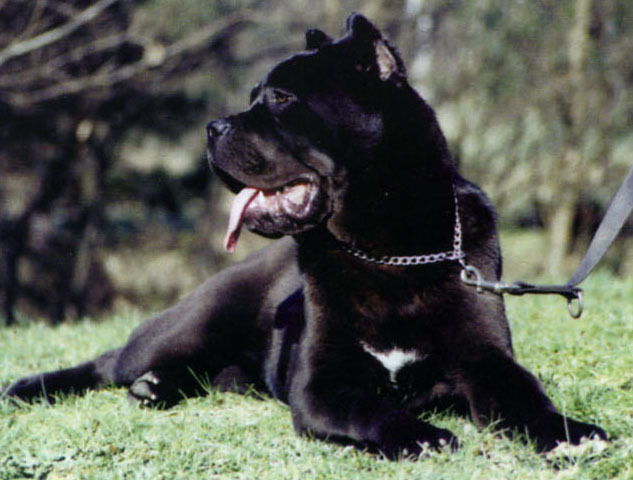 It is important to note that the Cane Corso should never have the black and tan (or blue and tan) color pattern associated with the Rottweiler. Nor should he display these markings with brindle in lieu of solids. An all-black dog was prized and sought after by the breed's old-timers. In actuality, the dilute fawn is more common than red. Red/fawn Cane Corsos will have a black mask. The mask must never exceed the eyes; if so, that is evidence of defilement from another breed. Sometimes in puppies this phenomenon is present, but fades over time. Younger reds and fawns will often have a blue or black saddle; this too will fade as the dog matures. The eye color once again matches the coat. 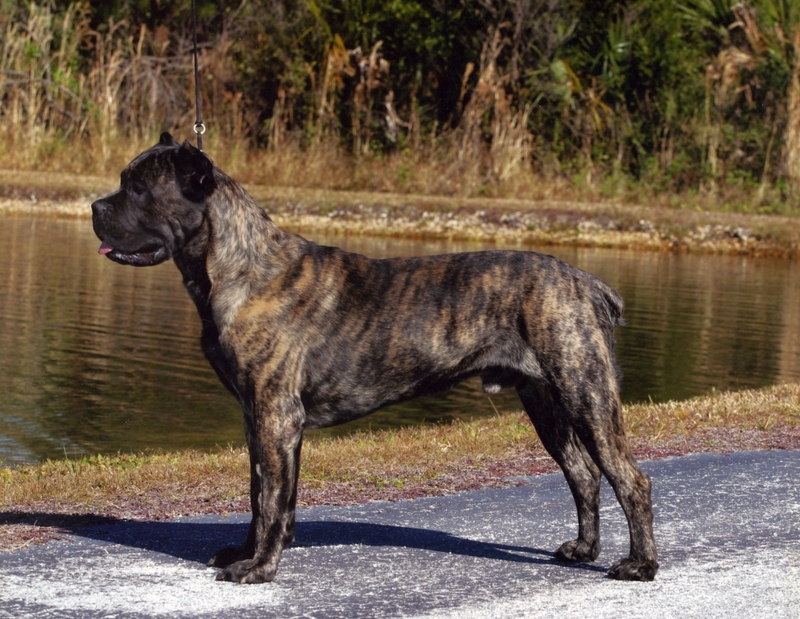 One of the more interesting color patterns that the Cane Corso occurs in is blue fawn; in Italy, this color pattern is referred to as formentino (slang for the color of fermented wheat). This is essentially a washed-out or carbon-colored fawn that has a blue nose and mask. (The Cane Corso should never have a red or violet-colored nose.) The color of the eye is light; it would almost appear clear. Red Cane Corso puppy. The saddle will fade with time. This color comes in different shades that range from plum to slate to light gray. These dogs also have self-coloring eyes, in some cases the eye is as dark as brown. As a dilute color, blue dogs will have a blue nose and toenails. Blue puppies will usually have a blue eye; however, that eventually darkens with age. Just as common if not more so would be blue brindle. Again the eyes are self-coloring; as with all brindle dogs, the eye will match the color of the brindle. Interestingly, in the European standard there is no reference to a blue dog. The color is described only as gray, and it is treated as a fully pigmented color with a black nose and toenails. I have yet to see a gray Cane Corso with pigmentation, either domestically or in Europe. While researching this article I could find no documentation that would support gray as a base color, only references to it in tandem with blue as a dilute of black. Formentino, or blue fawn. Note the almost carbon-like color. Brindle dogs generally have a mask that is the color of the darkest part of the brindle. 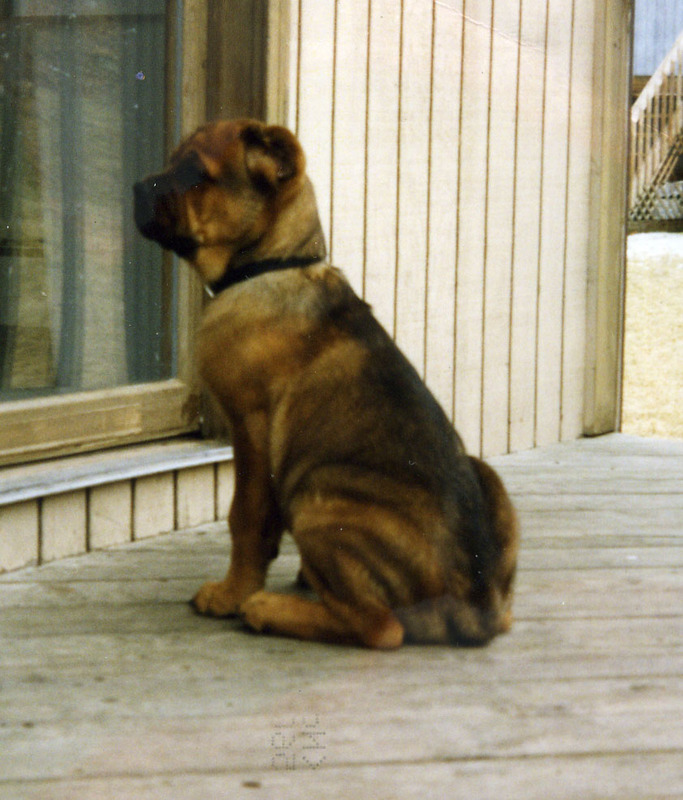 In a brindle dog, it is less common to see brindling to the tip of the muzzle, but it does present itself. The opposite is true of a blue or gray brindle dog, where it is common to see the brindling reach the tip of the muzzle. The eye, again, is self coloring, matching the brindle. This color pattern in Italy is sometimes affectionately referred to as tigrato ("tiger like") because the spectrum of brindles can vary much like the big cat. It is said that no two tigers have the same pattern of striping; perhaps the same can be said for the Cane Corso. Brindle Corsos are generally accompaned by a black mask. A nice example of a blue brindle male. I would be remiss if I didn’t discuss coat texture in this treatment on color. The AKC standard states: “Coat-The coat is short, stiff, shiny, adherent and dense with a light undercoat that becomes thicker in cold weather.” The Cane Corso should not have a short coat like the boxer. His coat is somewhat longer, and in colder climates significantly heavier to protect him from the elements. The breed can present a light fringe on the thigh from beneath the tail to above the hock joint. In an interview I did with breed preservationist Dr. Paolo Breber in 2003, he described the breed’s coat: “What I found interesting was the coat, this short but not very short coat, and this very thick hair almost like bristles. It was smooth along the body; it wouldn’t stick out at an angle. The dog had this wooly undercoat in winter. This was obviously an adaptation to outdoor life. It wasn’t this sort of fine velvety coat like a Boxer or Doberman.” The old-timers used to describe this coat as “cow hair” or “wire hair.” The coat is not plush, nor would you say soft to the touch. In blue dogs, the coat tends to be less dense. While armed with a sturdy undercoat, the Cane Corso suffers the cold and is not equipped to live outdoors unsheltered. 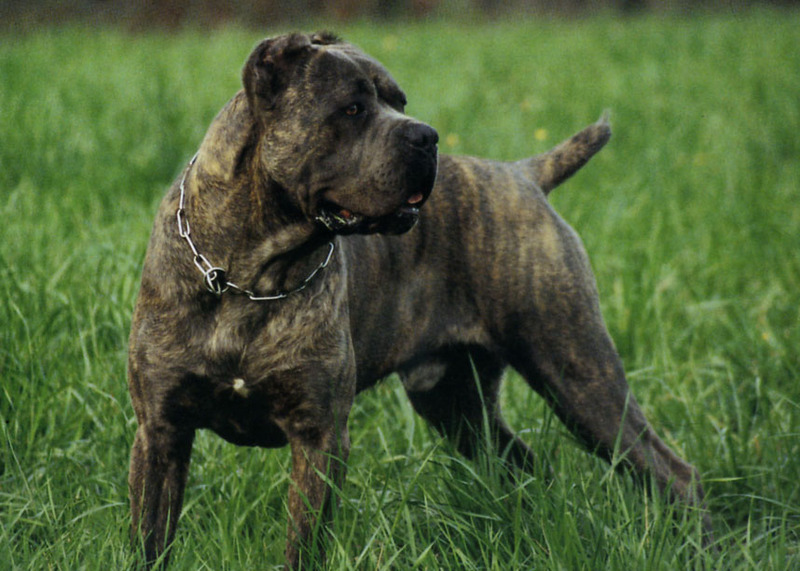 In conclusion, we have the Cane Corso that survived in antiquity in small pockets of the southern Italian hinterland. He was a jealously guarded secret held in the highest esteem, an intricate part of the socioeconomic landscape of the meridone. The Cane Corso is unique in the fact that his beauty is expressed in so many beautiful shades, tones and colors. The breed is not limited to one rigid color pattern or limited to a couple of colors. However, the real beauty for me is that his variety was forged, molded in his indispensible aid of man. Proving that age-old adage “form follows function,” in the case of the Cane Corso, beauty is more than just skin deep. 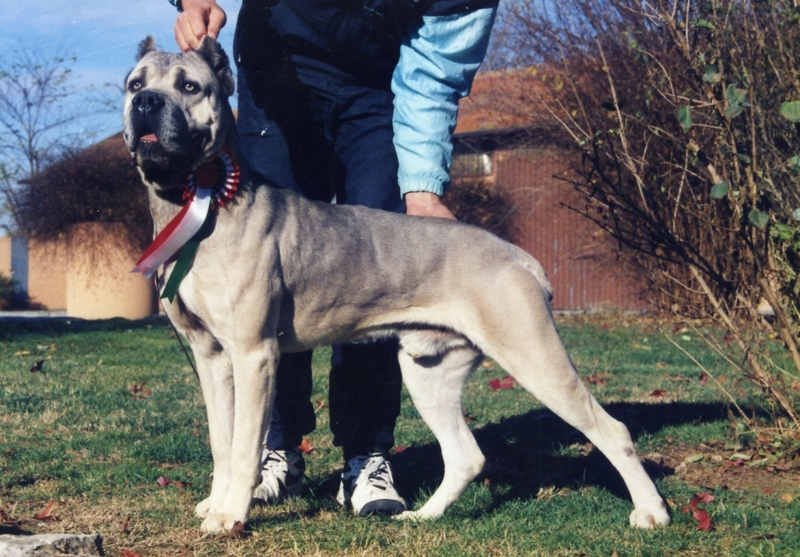 Mike Ertaskiran first met the Cane Corso in 1994 at the now-defunct U.S. Neapolitan Mastiff Club’s show in Mullica Hills, N.J. He became the president of the International Cane Corso Federation in 1995, and was the driving force behind the breed’s pursuit of full AKC recognition, which will be realized this July. 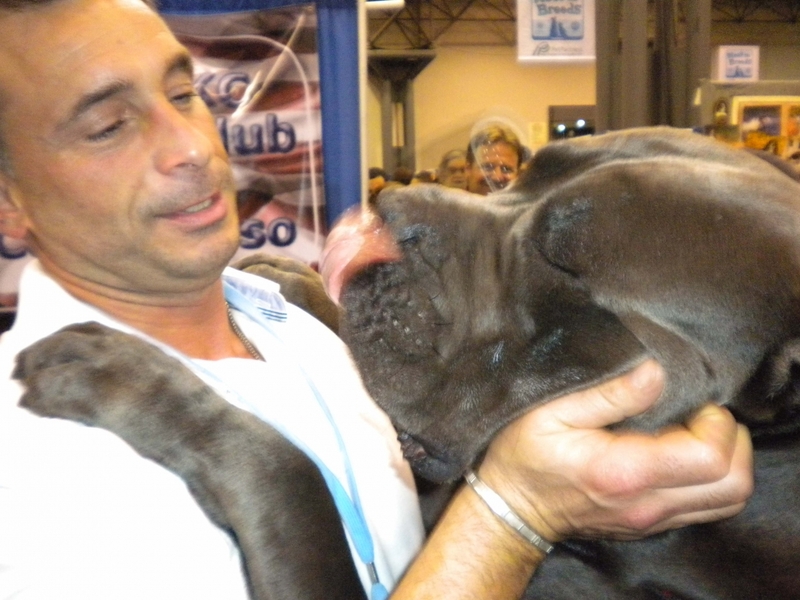 Mike has judged numerous rare-breed specialty shows, and had the privilege of being the first American to judge the breed in Italy at a Cane Corso specialty show. During his many trips to Italy, he sought out all the breed’s old-timers, those responsible for preserving the breed and its recovery.